This image (and the next one) obviously were taken at the same time and of the same people. 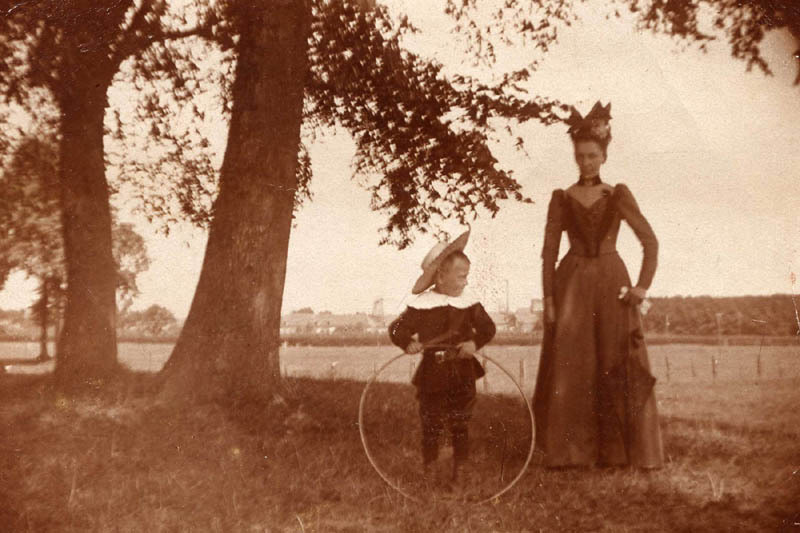 I have no idea who the woman and the little boy might be. By process of elimination, I would guess that this picture comes from my mothers family, and that the little boy is her eldest brother (Oom Pé) and her mother - some time before her other brother (Harry) and she (Nell) arrived on the scene. But that is just a guess.